5 color silkscreen print on French paper. Edition of 25. 12.5 in. x 16 in. 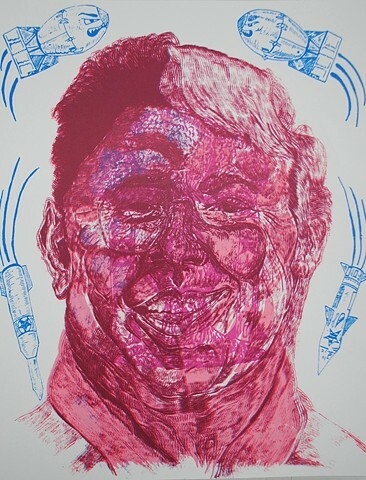 An alternate version of the "Kim Jong-Drumpf" print, this depicts the aftermath of going too far with the nuclear codes.